question_answer1) Chose the living thing from the pictures shown below. question_answer2) Choose the non ? living thing from the pictures shown below. question_answer4) Which of the following is/are characteristic features of all living things? question_answer5) Which of the following things given below can grow? question_answer6) Which of the following things given below cannot live without food? question_answer7) Which of these is a living - thing? question_answer8) All living things can ________ from one place to the other. question_answer9) A chair cannot move as it is a ______ thing. question_answer10) The two major categories in which all the things can be categorized are. question_answer11) Living things cannot live without _____. question_answer12) Which of the following things remain same in size after many years? question_answer13) Which of the following is correct about things? question_answer15) Which one is a characteristic of a living thing? question_answer16) Books and pencils are ______ things. question_answer17) How are living things different from non-living? question_answer18) A cat can _____ by itself but a table can't. question_answer19) Which of these is/are living thing(s)? 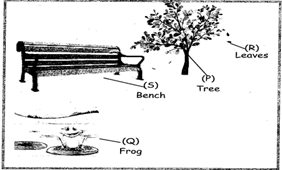 question_answer20) Which of the following things cannot move by its own? question_answer21) Which one is a characteristic of non-living thing? question_answer22) Identify the thing which does not have life in them. question_answer23) Match the column (I) with Column (II). question_answer24) Consider the following statement and choose the correct answers. Statement A: Table can move so it is a living thing. Statement B: A plant is a living thing because it can grow. question_answer31) Which of the following groups refers only to non-living things? [HOTS]. question_answer32) Which of the following things are living? question_answer36) Which of the following is true? question_answer39) How many number of living things are present in the box. question_answer40) Read the sentence carefully and find True (T) and False (P). 1. Living things needs air, water and food to grow. 2. Plants are living things and aeroplane is a non-living thing. 3. A chair can move by its own, it is a living thing. question_answer41) Is car a living thing? question_answer43) A chair cannot move and grow on its own as it is a ???? thing. question_answer44) Direction: Read the passage carefully and answer the question. There are so many things which remain same in size after so many years because they are non-living things. For example pencil, table, toys etc. You can walk, run, butterfly and fishes can also move on their own because they are living things Which of the following is a living thing? question_answer45) Direction: Read the passage carefully and answer the question. There are so many things which remain same in size after so many years because they are non-living things. For example pencil, table, toys etc. You can walk, run, butterfly and fishes can also move on their own because they are living things Which of the following can grow in size? question_answer46) Direction: Read the passage carefully and answer the question. There are so many things which remain same in size after so many years because they are non-living things. For example pencil, table, toys etc. You can walk, run, butterfly and fishes can also move on their own because they are living things Which of the following can move from one place to another on its own? 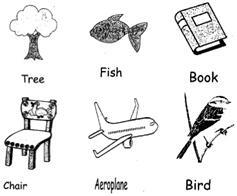 question_answer48) Categories the items into living and non-living and count the number of each Boy, chair, fish, toy, butterfly, helicopter. question_answer49) A plant gets food and water daily, but if it is kept inside a close jar, can it survive? question_answer50) Ravi planted so many plants in his garden but never gave water to then As a result the plant couldn't grow. Ravi started crying. How will you help Ravi?